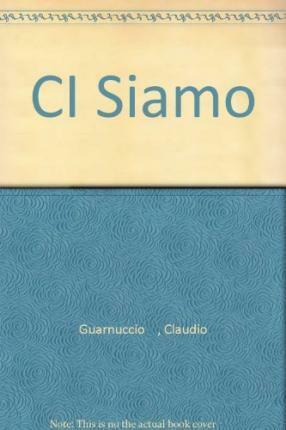 Ci siamo is a full-colour Italian beginner's course. The one-volume two-year course is suitable for beginners at middle to upper secondary level and adult beginners. The distinctive features of the course are the entertaining approach and the use of fotoromanzi and authentic material which provide an insight into contemporary Italian lifestyle and language. The course is based on the experiences, adventures and travels of a group of young adults living and studying for a month in a picturesque Italian town. Each chapter begins with a fotoromanzo, followed by a variety of communicative tasks and activities which are thoroughly reinforced in the accompanying workbook. The wide range of activities are designed to make the course suitable for multi-level classes. The Workbook contains: Worksheets for all the listening activities contained in the cassettes Gioco di parole - puzzles and games to help learn vocabulary Punto per punto - a thorough presentation of all the language points with a gradually increasing degree of difficulty Che cos'e questa storia? - reading comprehension based on the fotoromanzi and new material The Tocca a voi section provides the students with freer writing activities designed so most students can put into practice what they have learned Sapore d'Italia - comprehension activities based on the cultural material presented in each chapter.